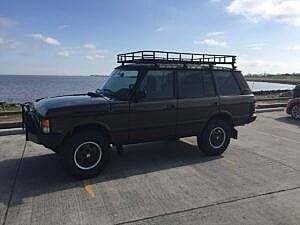 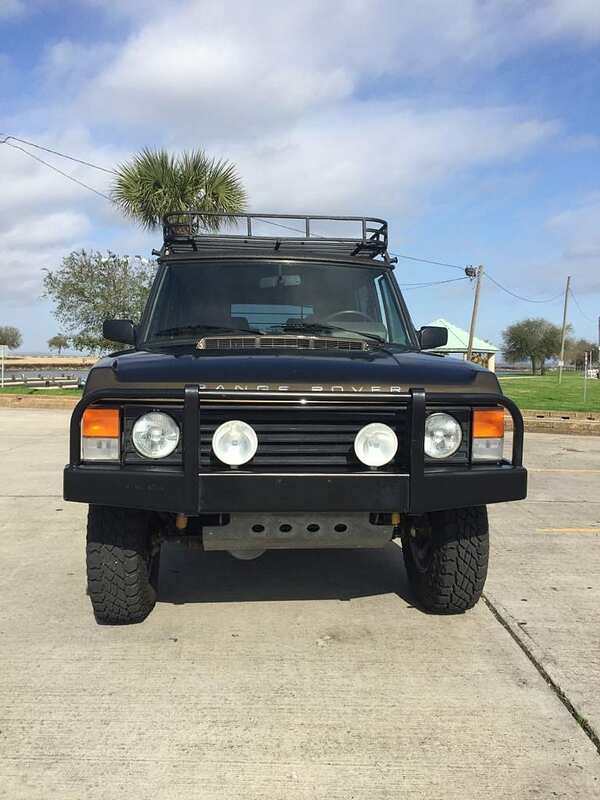 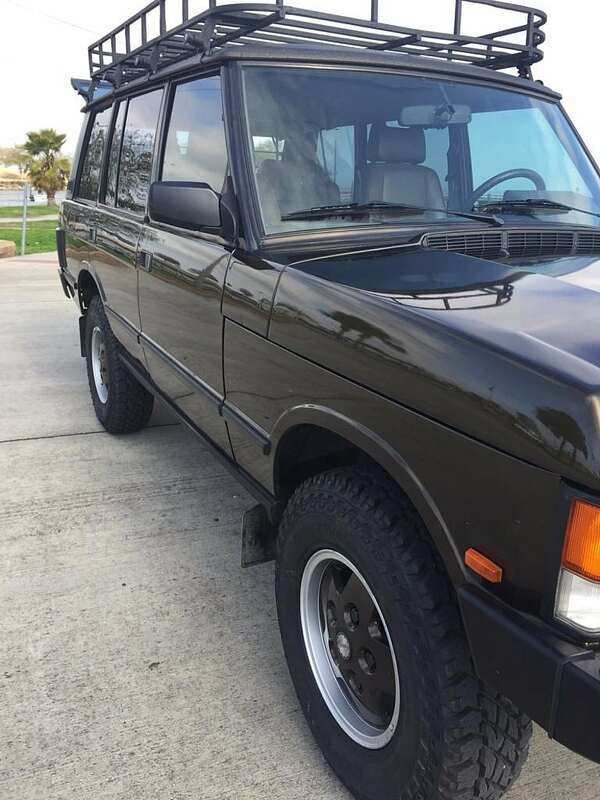 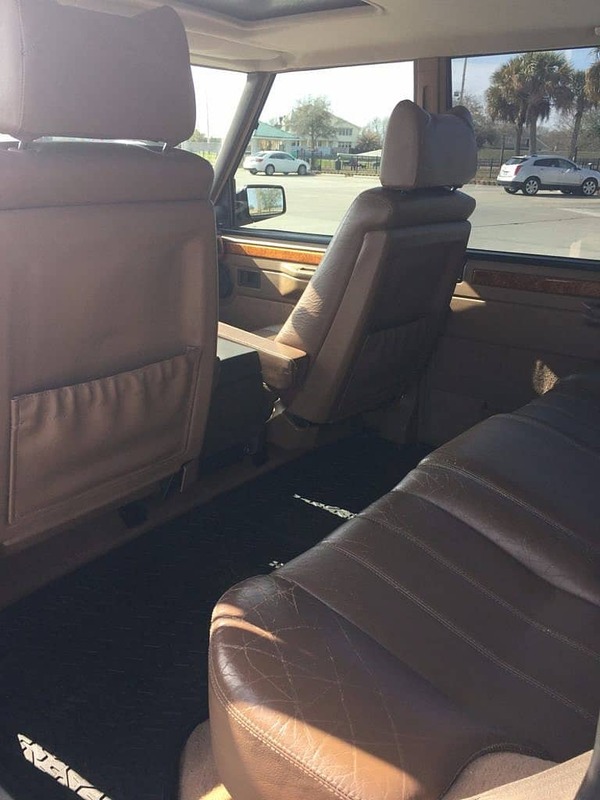 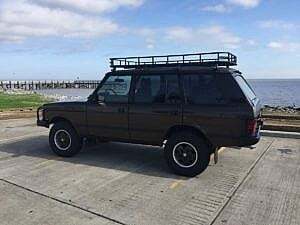 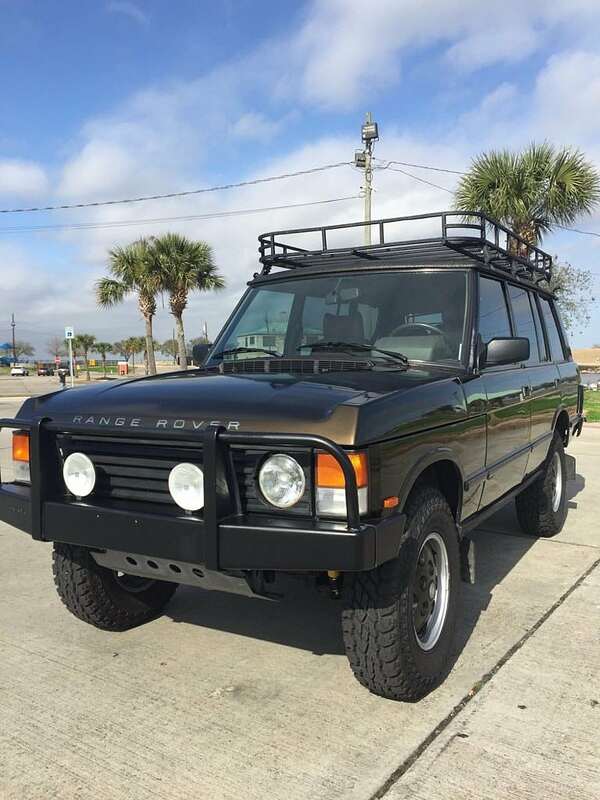 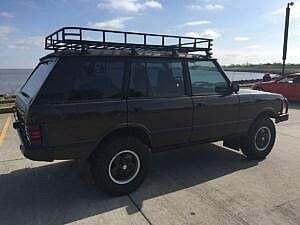 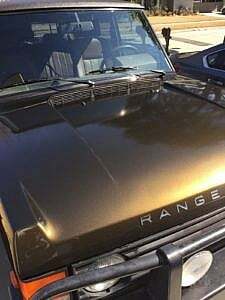 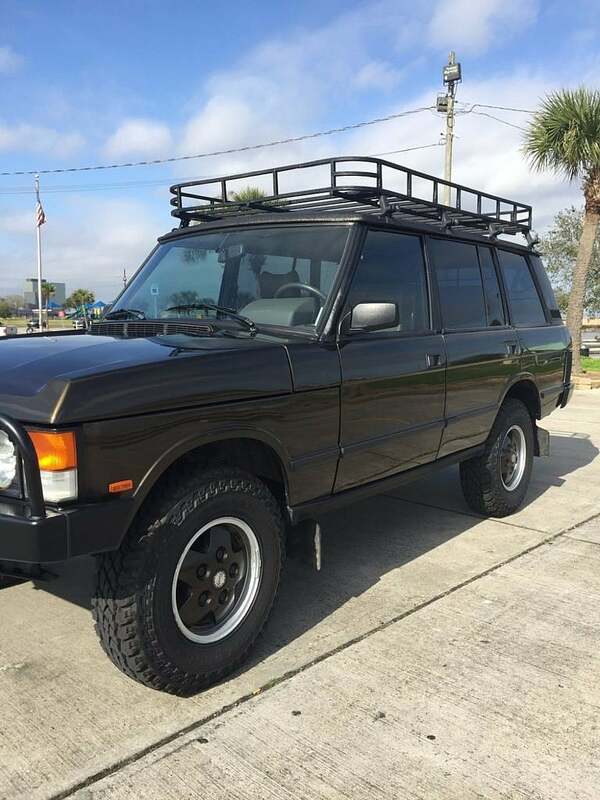 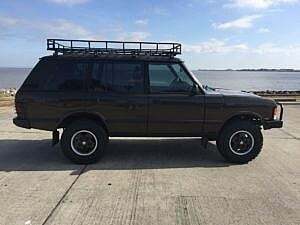 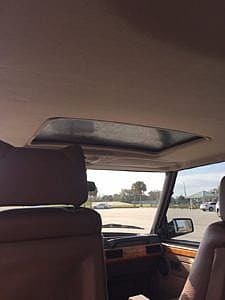 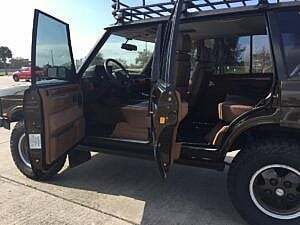 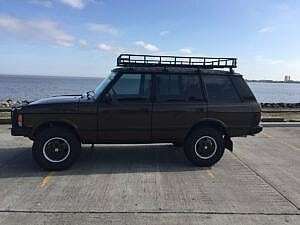 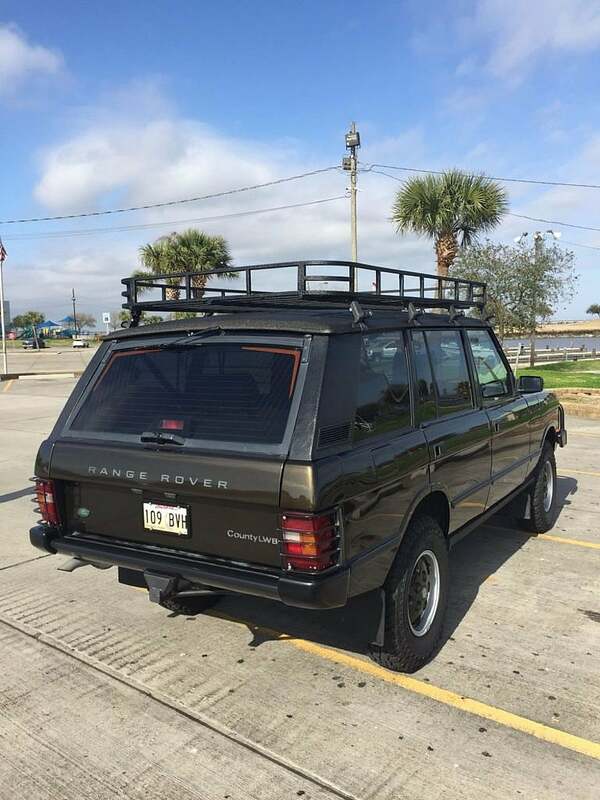 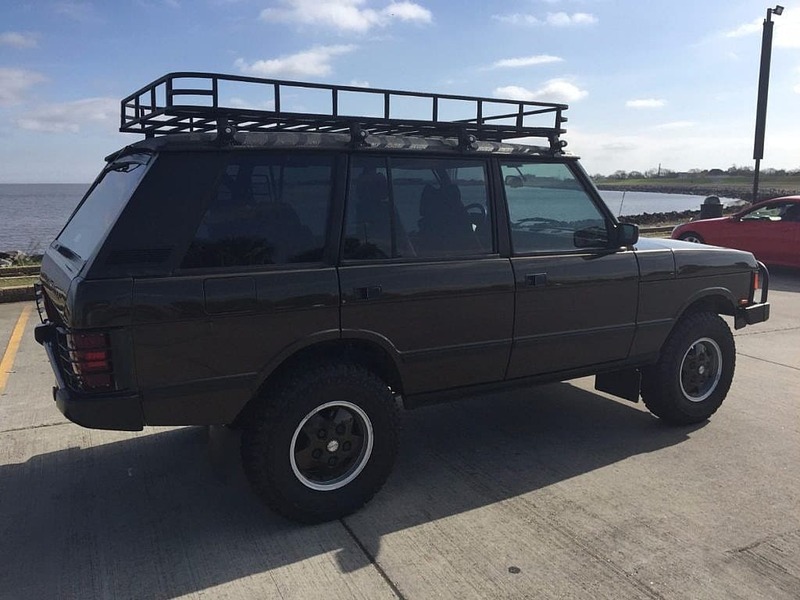 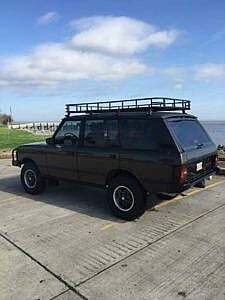 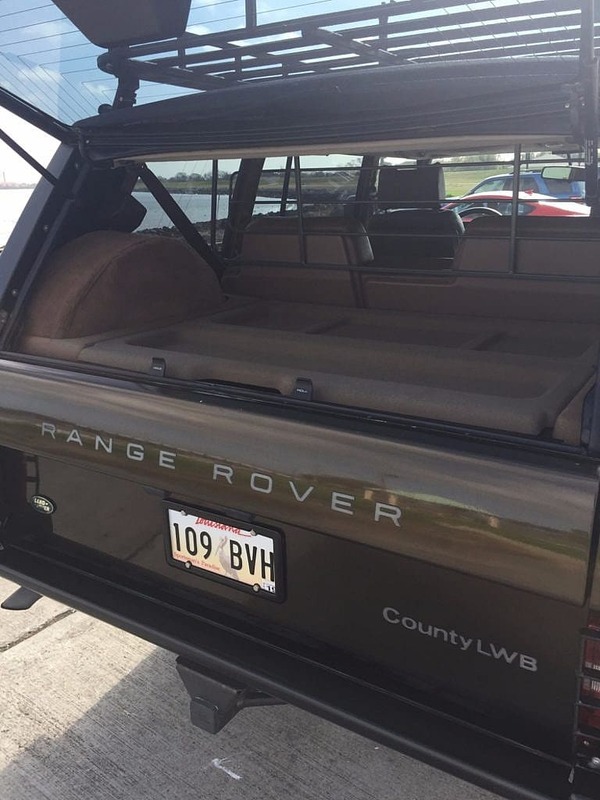 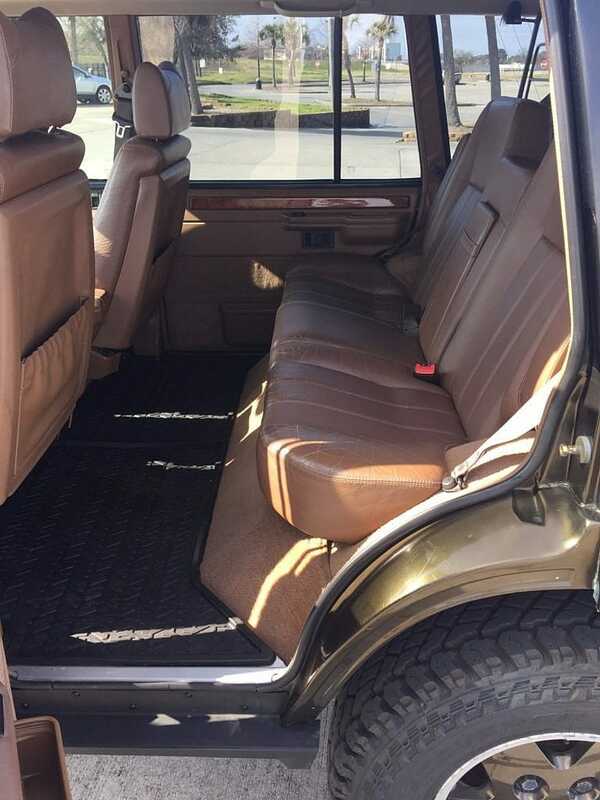 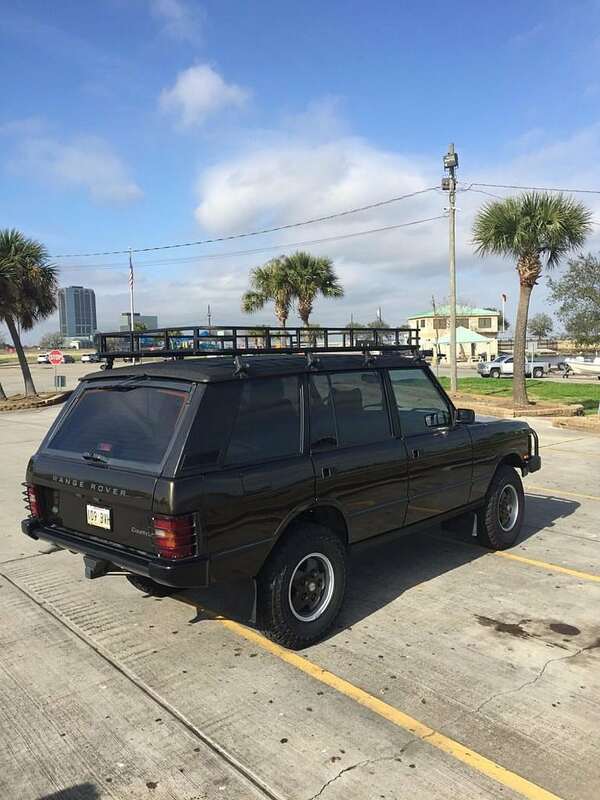 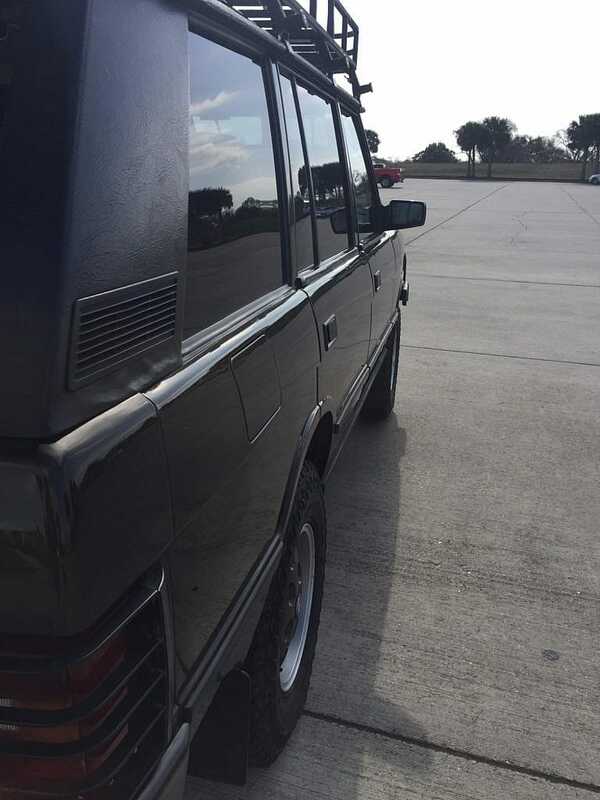 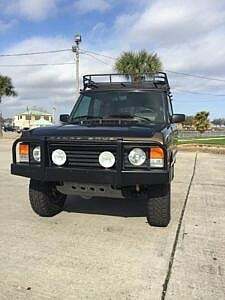 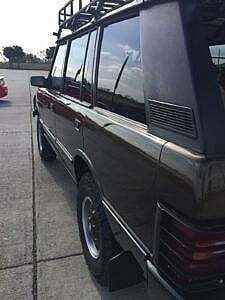 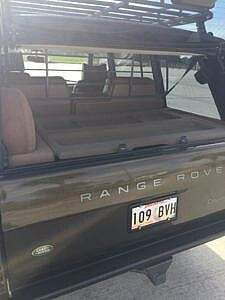 Second Daily is proud to present this rust free, very well maintained, 1993 Range Rover Classic County LWB. It is finished in a rare Mosswood Green with factory color-matched County wheels over brown saddle leather. Also unique to this truck is the authentic Great Divide Edition front bumper with “RANGE ROVER” stamping. 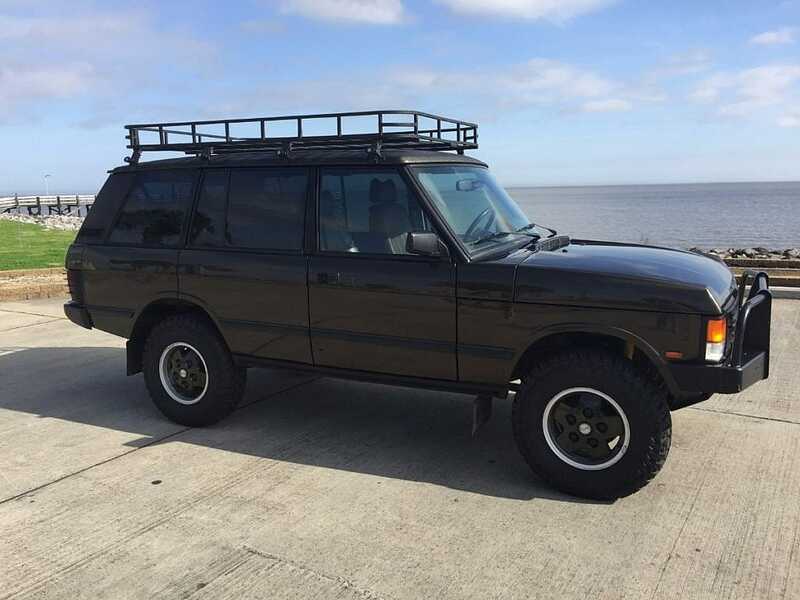 This Classic spent the majority of its life indoors in California. 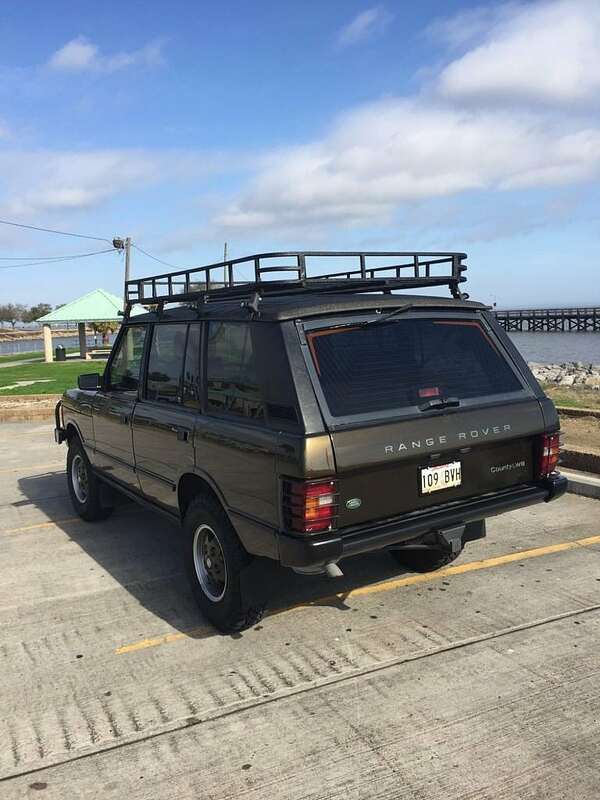 It traveled to Nebraska in 2009, and just recently made the move to Louisiana. 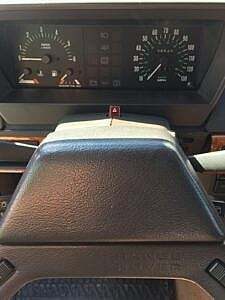 Approximately 1k miles have been added annually for the last 10 years. 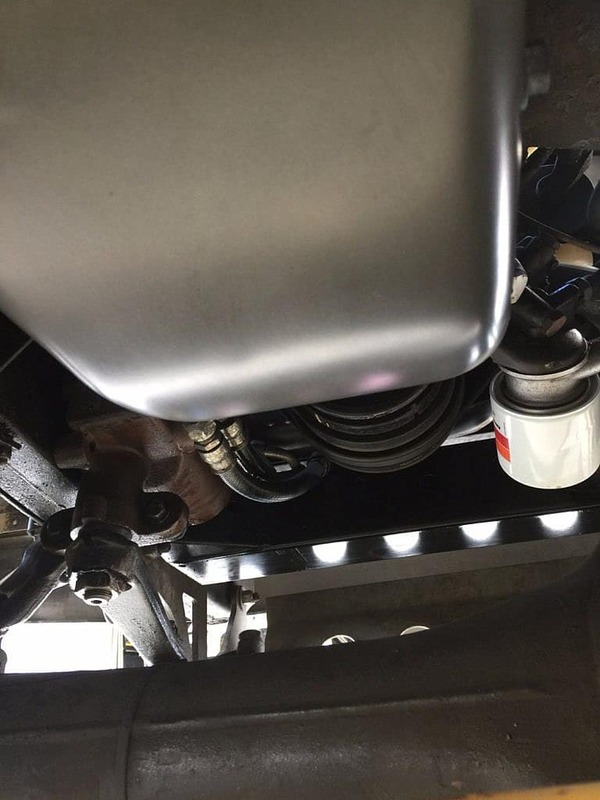 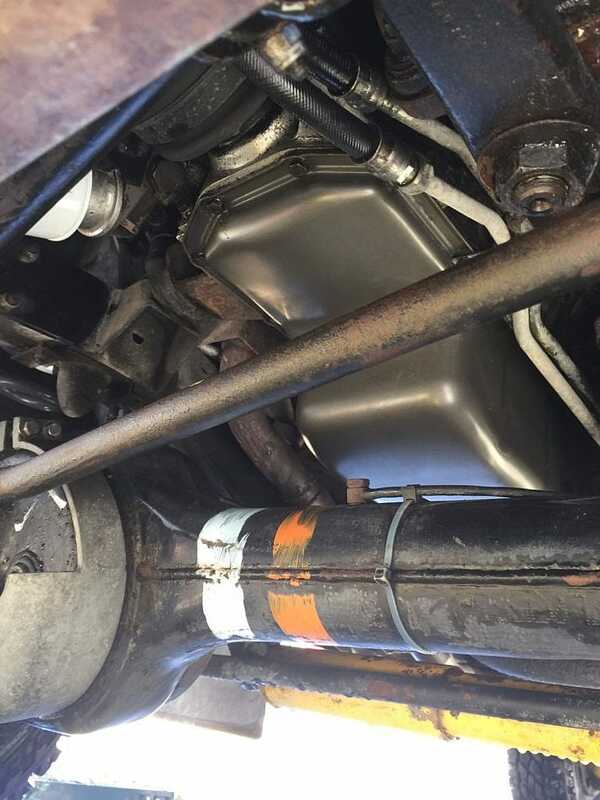 A recent AutoCheck was clean and indicated no failed emissions testing or accidents. 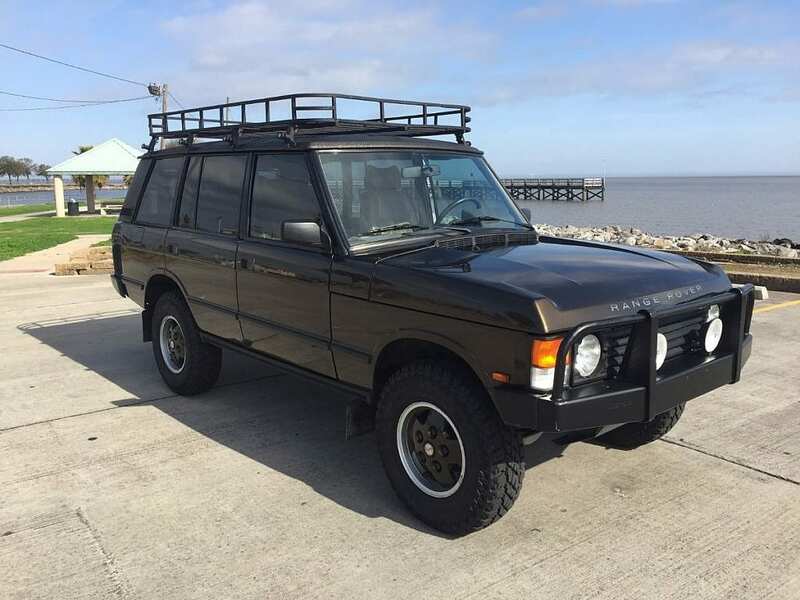 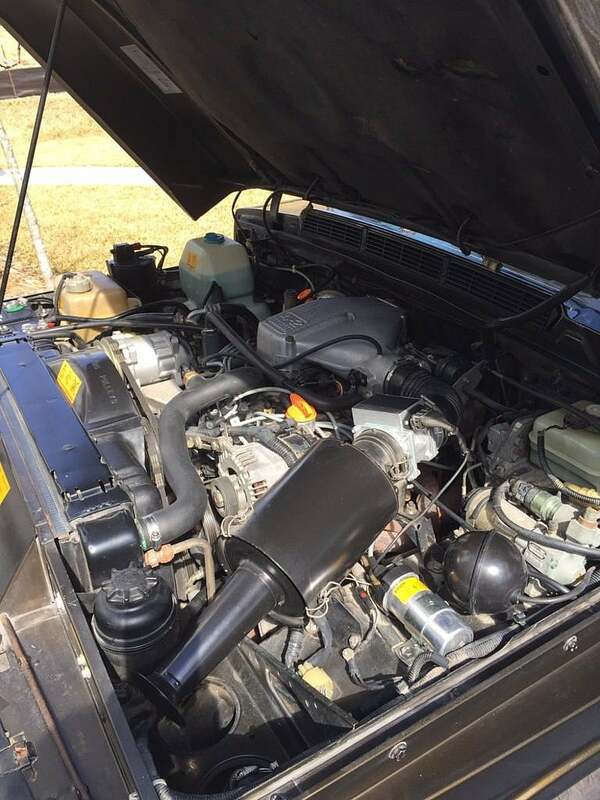 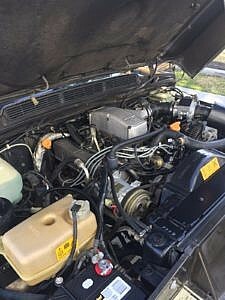  This one has service records dating back to 2006, and ships from Louisiana with a clean clear title in the seller’s name. The Mosswood Green shows very well on this Land Rover, the decal lettering all around is intact, including a full accounting of “County LWB” on the rear gate. There are no known accidents and all of the panels appear straight with no abnormal gaping. 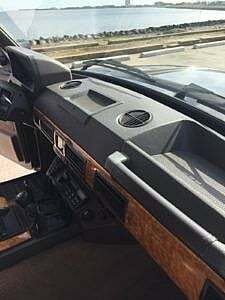 The bonnet on all Classics will usually appear a little unseated and possibly off, this is quite normal on these trucks because of the latching mechanism. 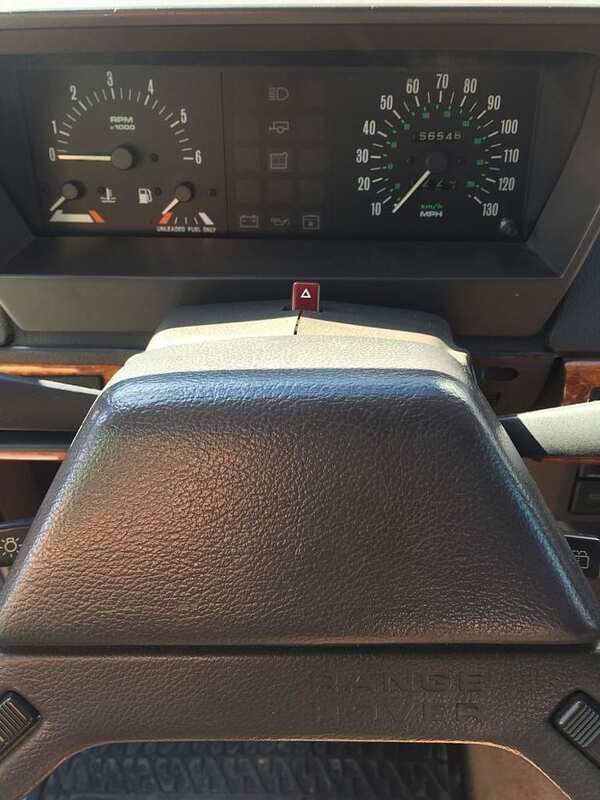 We see nothing out of alignment here or unusual. 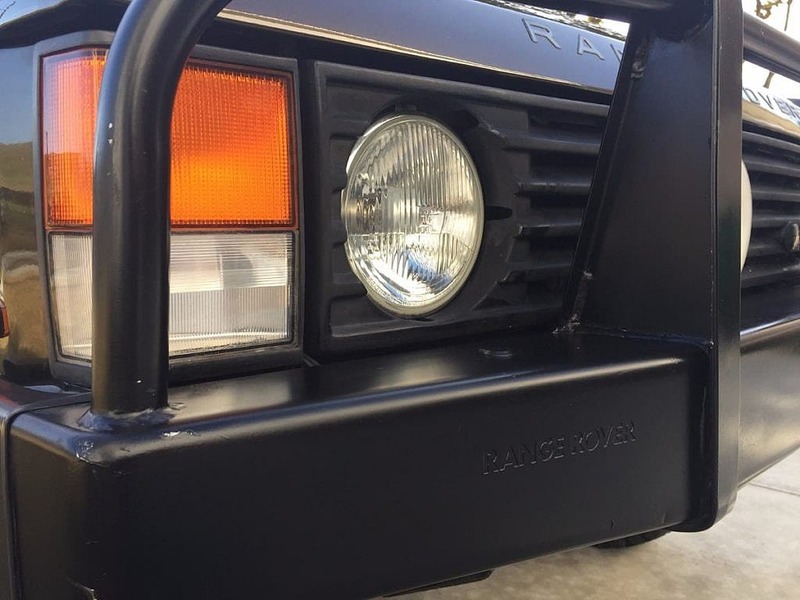 The GDE bumper has 2 driving / spot lights installed, and underneath a steering guard to protect externals. 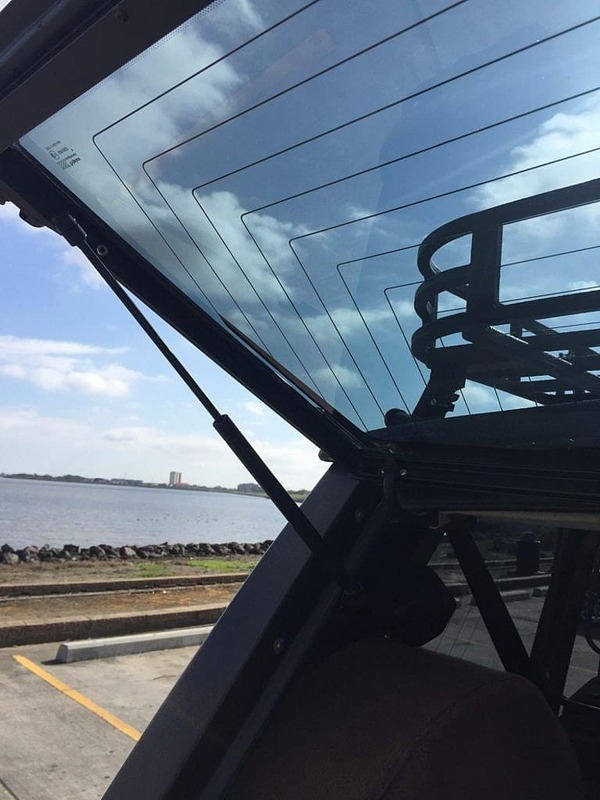 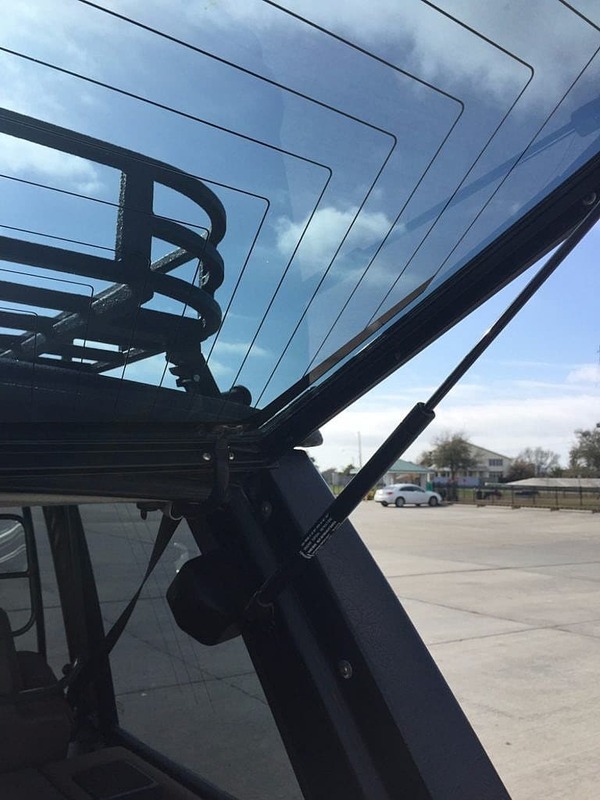 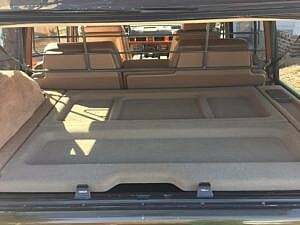 The roof has been color matched rhino-lined to protect any loading/unloading of items up top. 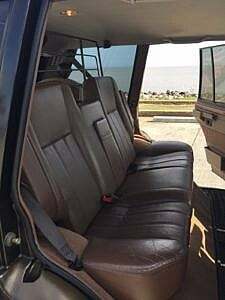 The door arches look very clean, as do the sills and underside rear seat belt anchor points. 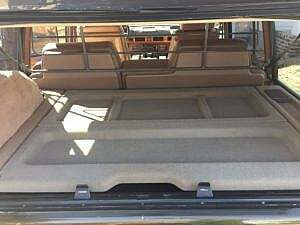 The rear glass hatch looks to be in great shape as well, and the OEM 2″ square hitch still retains its rubber plug cap. 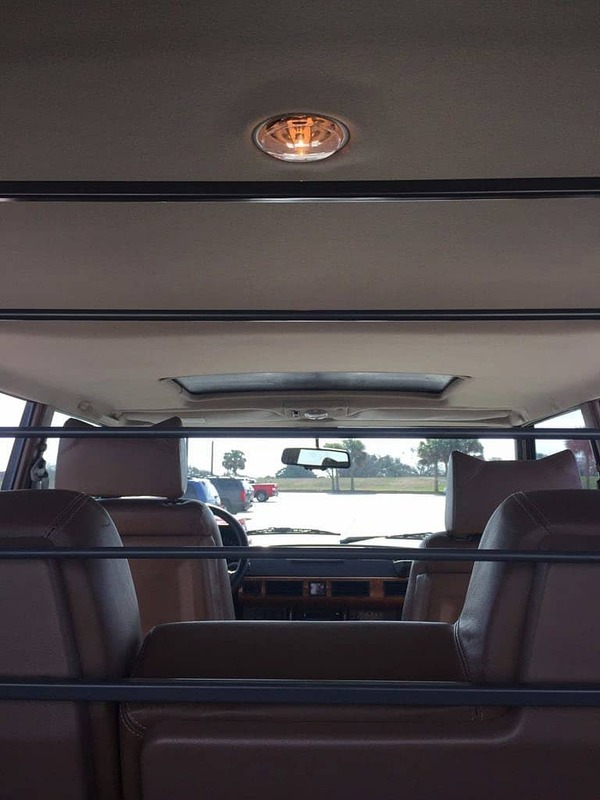 The real beauty is when you go underneath. 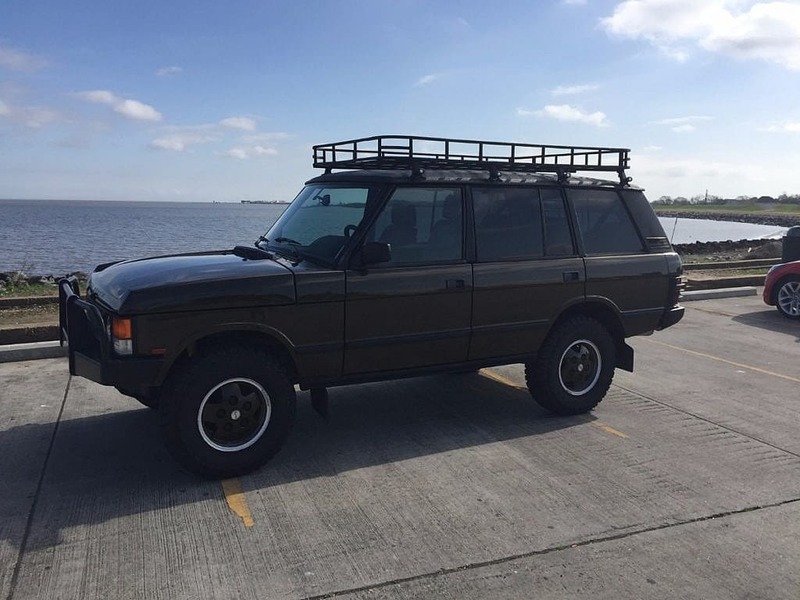 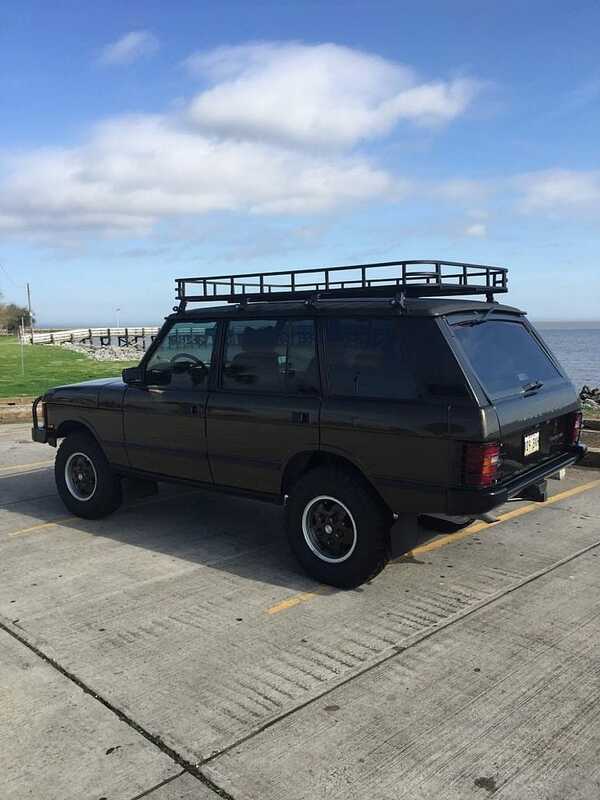 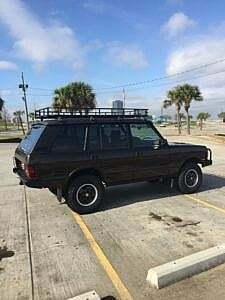 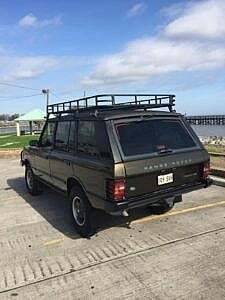 This ’93 spent a large part of its life indoors in California and is now in Louisiana. 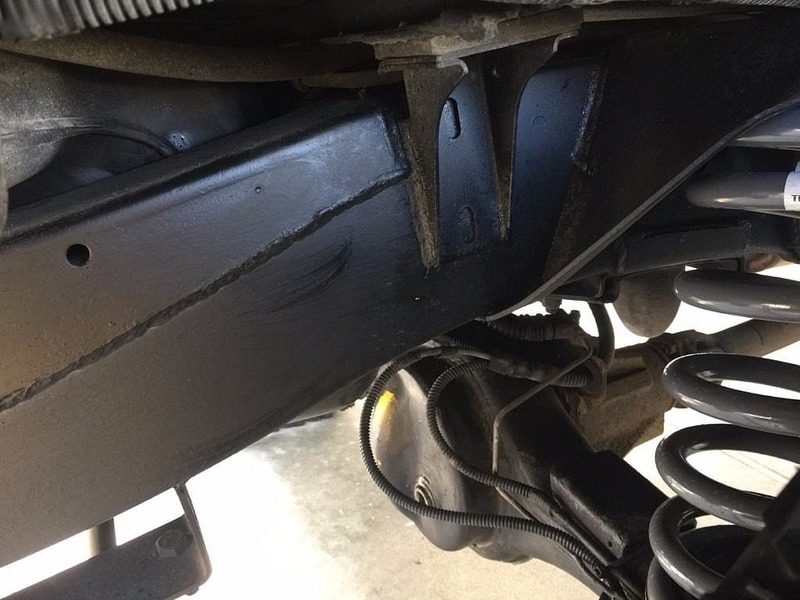 We see no rust anywhere underneath or around outside. 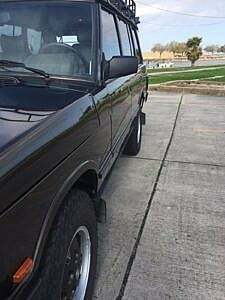 Look closely on the axle and you can see the factory orange/white paint markings still intact. 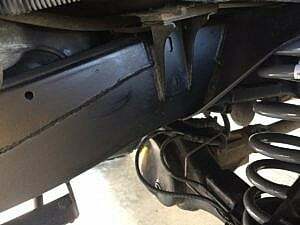 The factory would use these as a means to know when a certain task was completed during the build, like oil was added, bolts were torqued, etc. 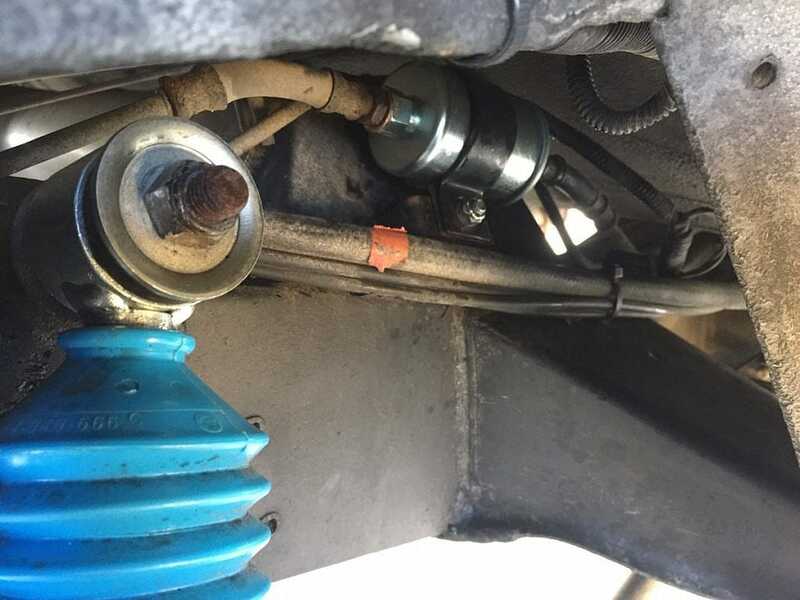 The Terrafirma springs and Bilstein shocks have less than 300 miles on them and the cap, rotor, plugs, wires, fuel temperature sensor, ignition amplifier have all been replaced in the last few months. 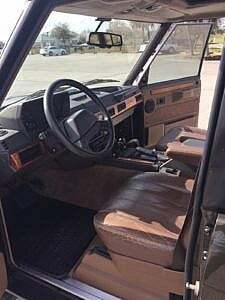 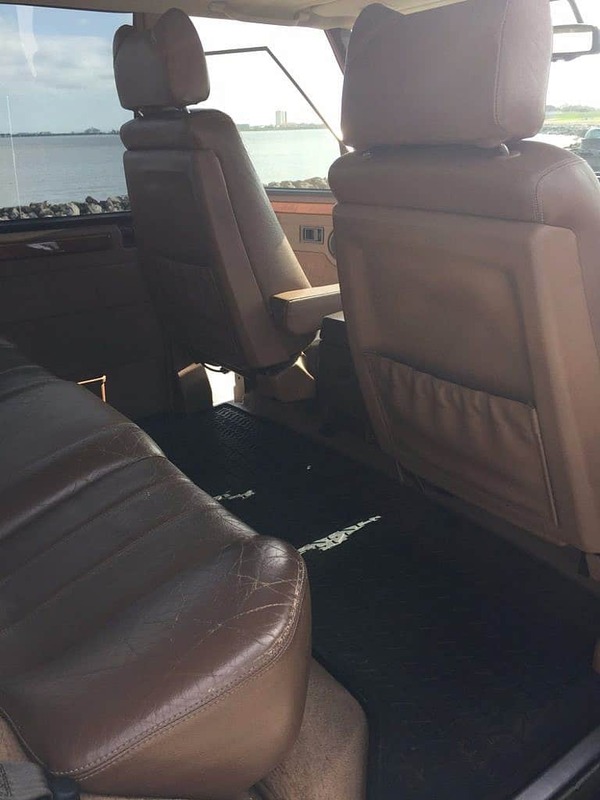 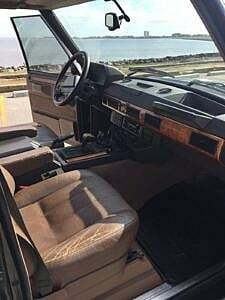 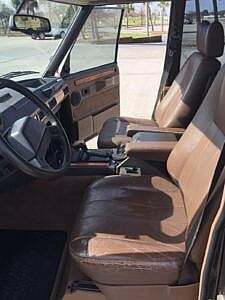 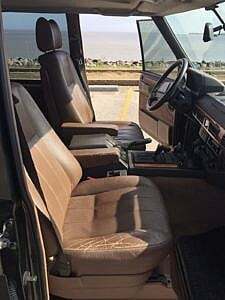 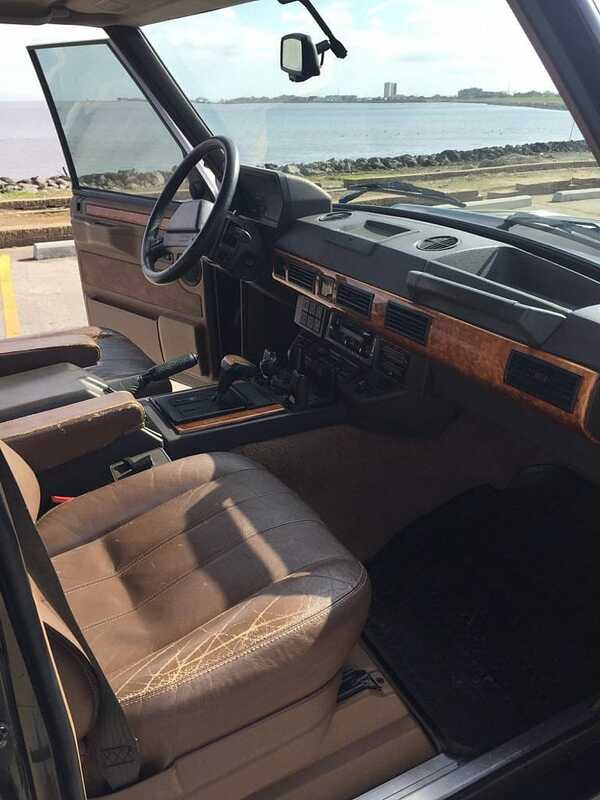 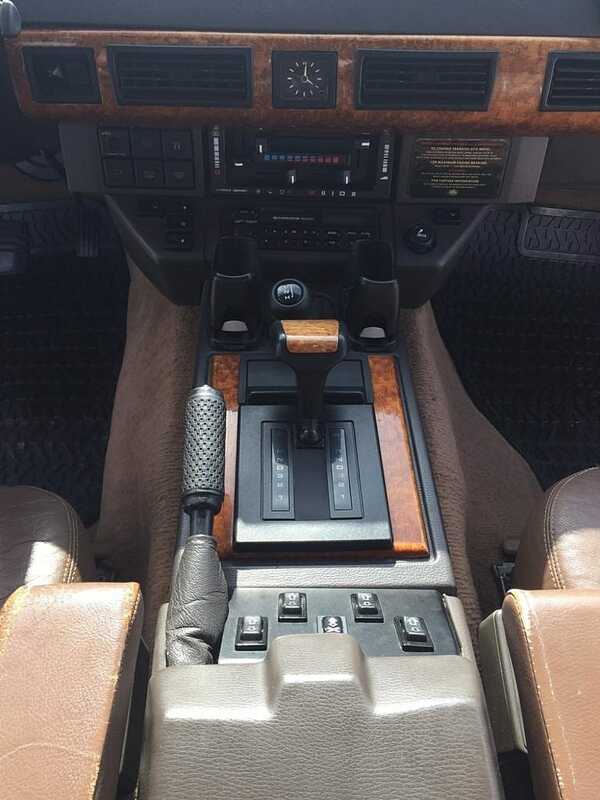 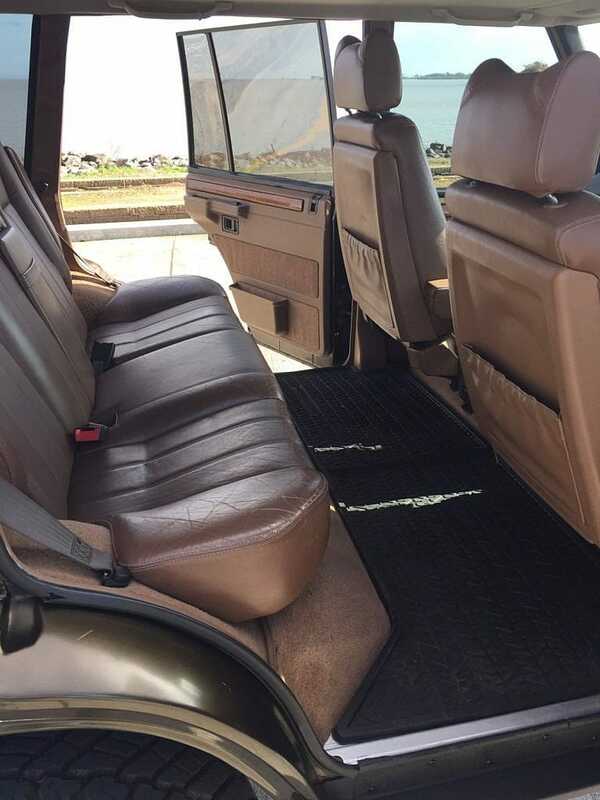 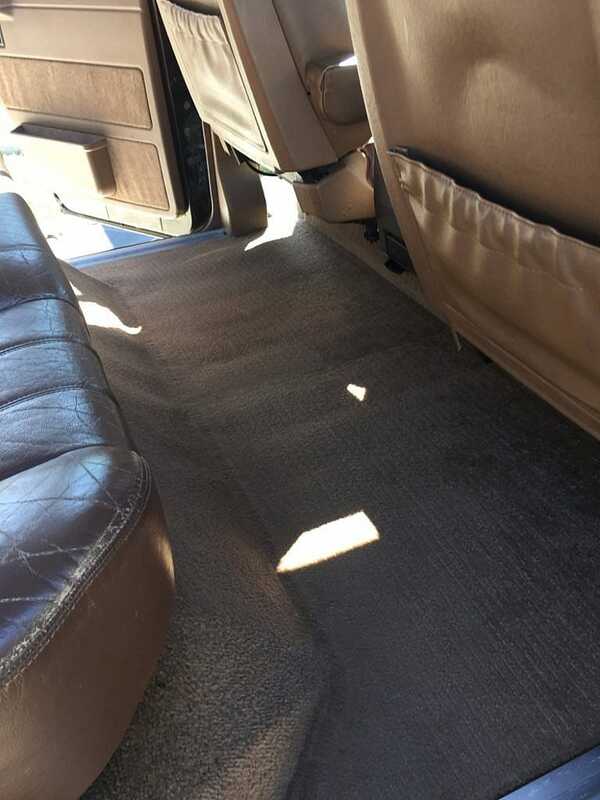 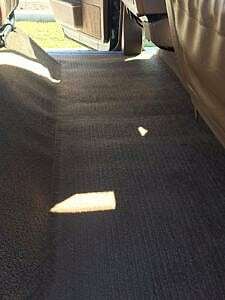 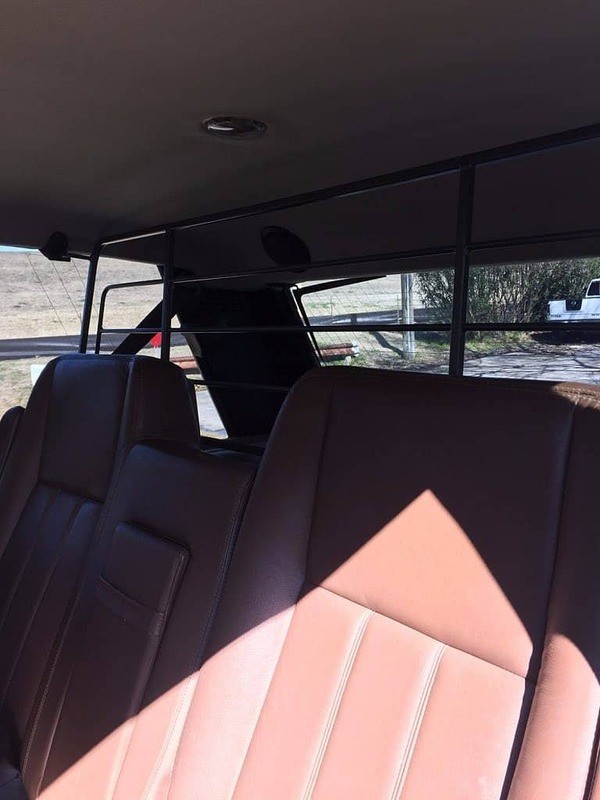 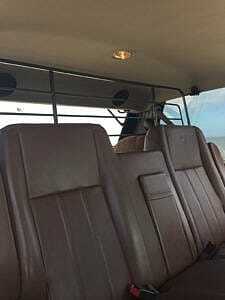 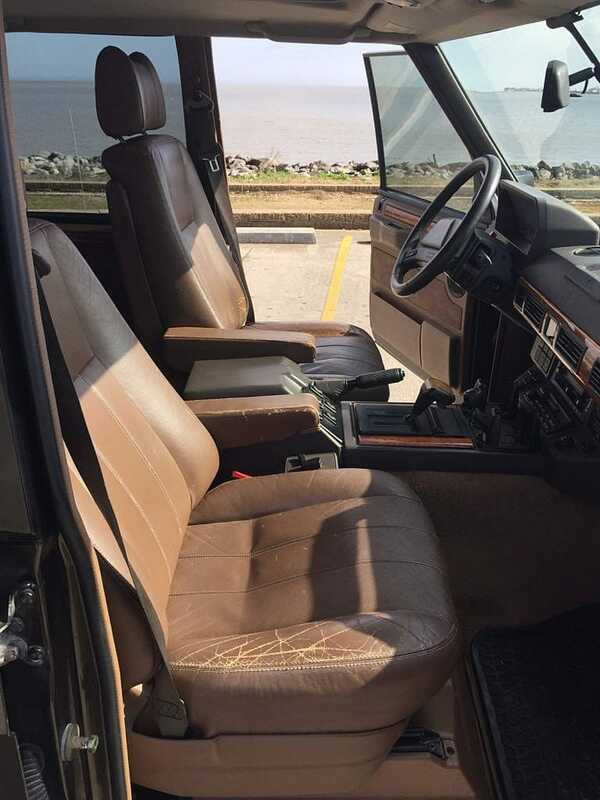 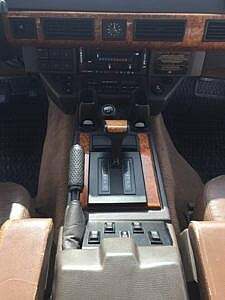 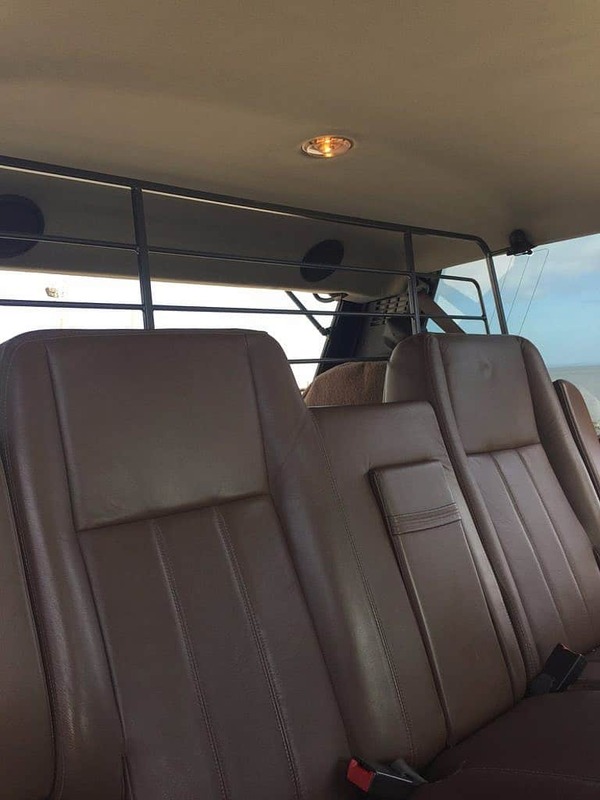 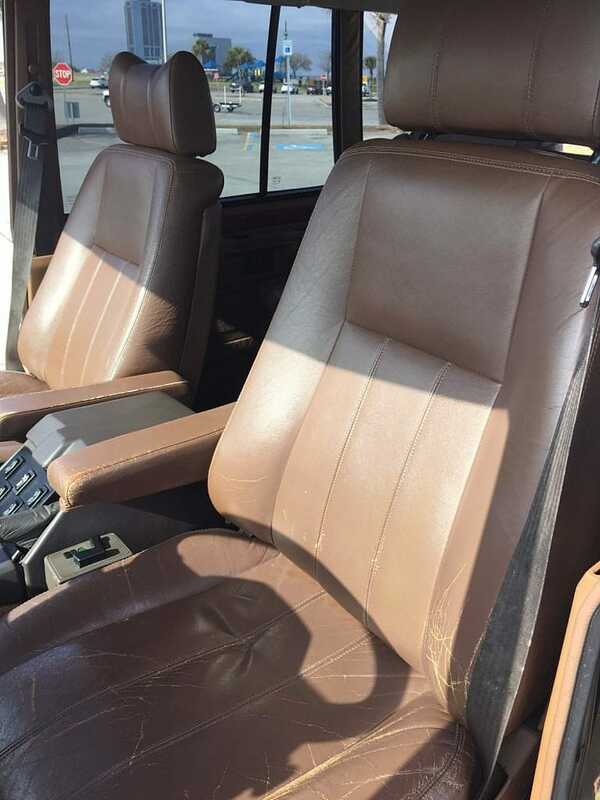 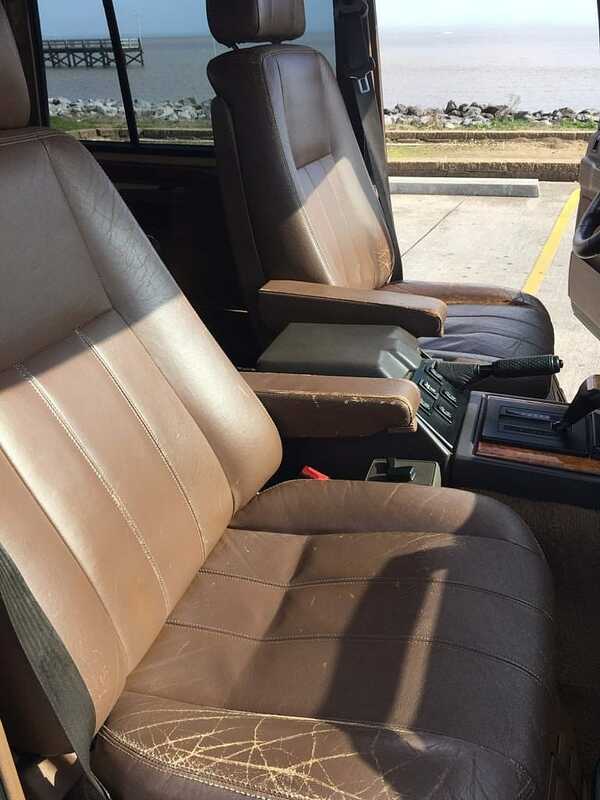 The interior presents very clean and well above average given the soft nature of the leather in these trucks. We see some normal bolster and seat bottom creasing wear, with no tearing or unraveling of the adjustable armrests. 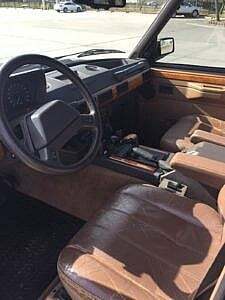 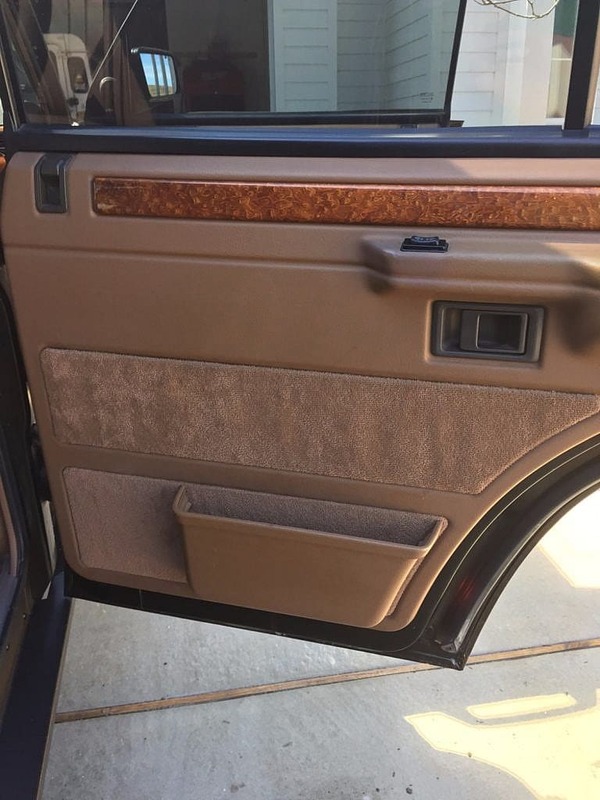 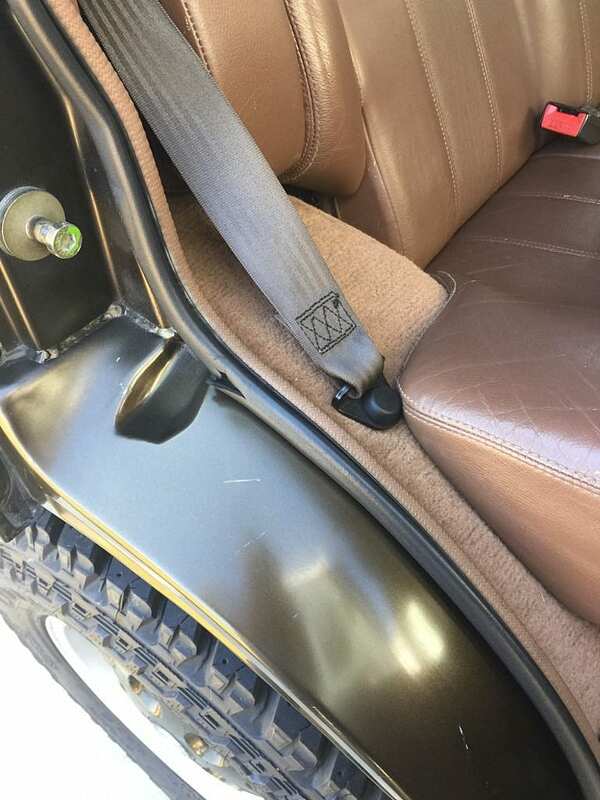 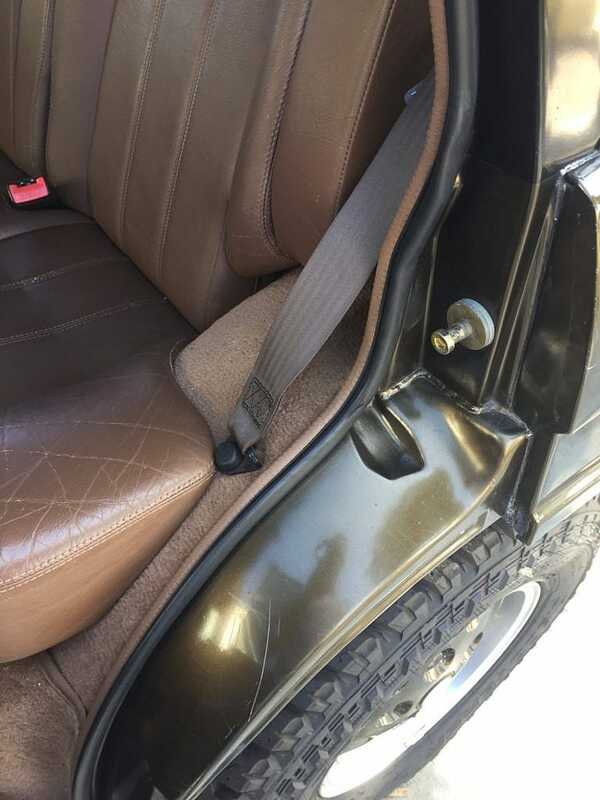 All of the trim pieces remain including the door speaker covers, the original radio, the fuse panel door is still intact, and rather nicely placed cup holders installed. 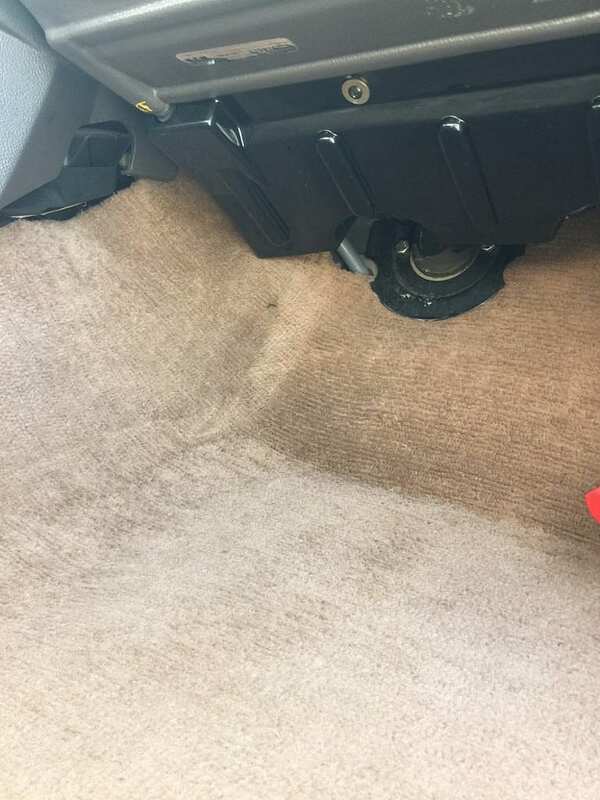 And only Rover addicts would know and recognize the original LWB floor mats in place…for those who don’t, these are not made anymore and trade off market for $200+ for used ones. 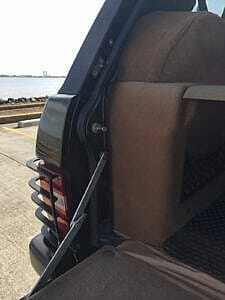 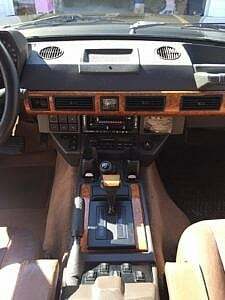 The wooden center console appears to be in excellent shape and the rear gate hold/lift tabs are unbroken. 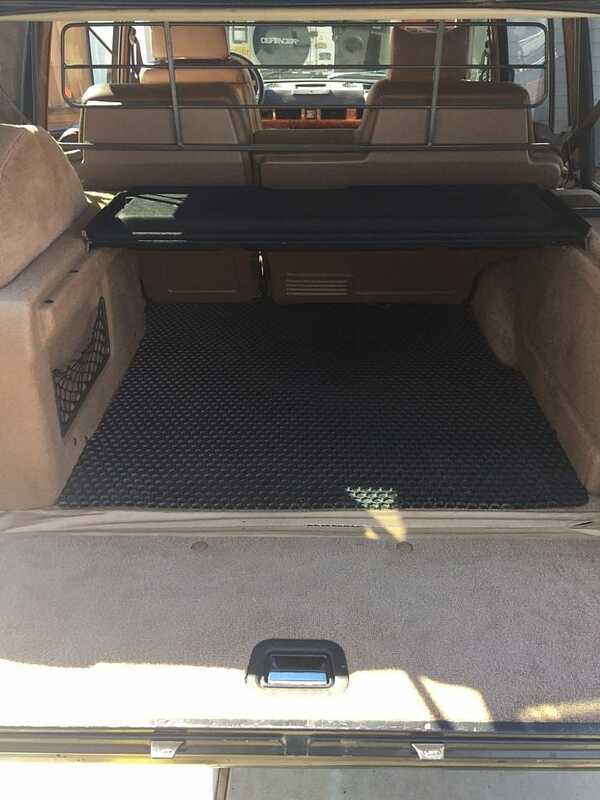 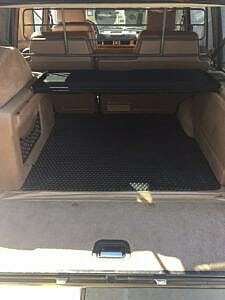 An OEM dog guard and rear cargo cover also convey. The left rear window does sometimes jump off the track, but it closes completely and does not leak. 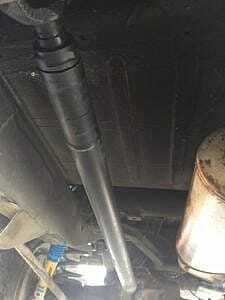 The steering box has a very small leak and a new one will be provided with sale of truck. Really? 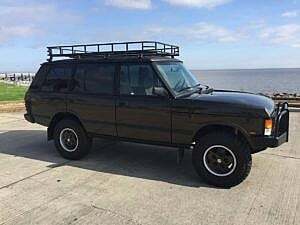 A new one? 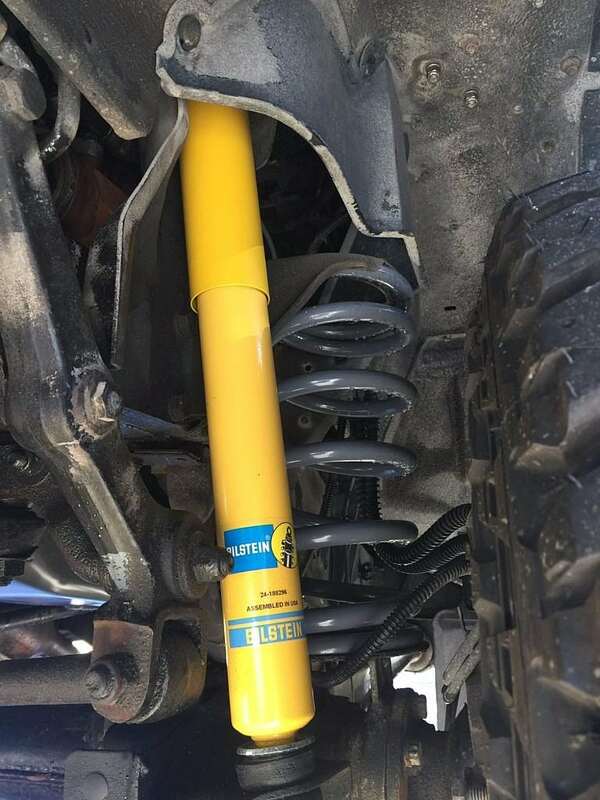 Yes, a new one. 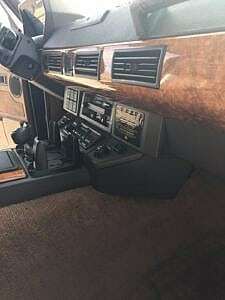 All electronics work including the heated seats, power mirrors, power front seats, cruise control, and analog dash clock. The heater and A/C also are reported to work without issue. Really? All that works and it’s a RRC? 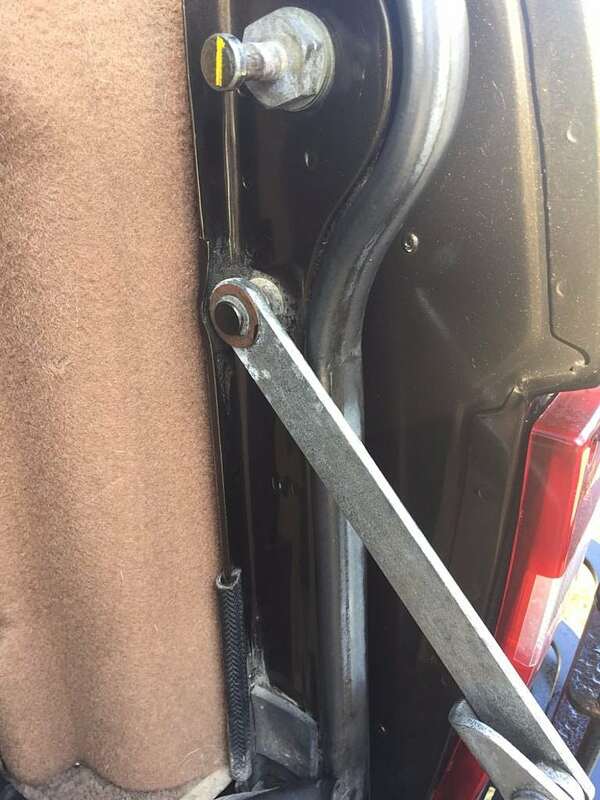 Yes, really? The VIN label on the driver door has a known error in the 9th digit. It reports it as “5” when in reality it is a “6” per the VIN tag on the window, the title and Land Rover CalVIN check out appropriately. 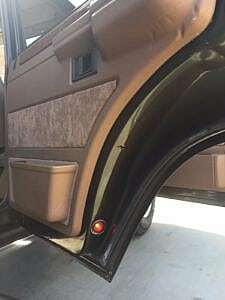 The VIN showing on the door label does not map to any other truck so it assumed to be in error and not a replacement. 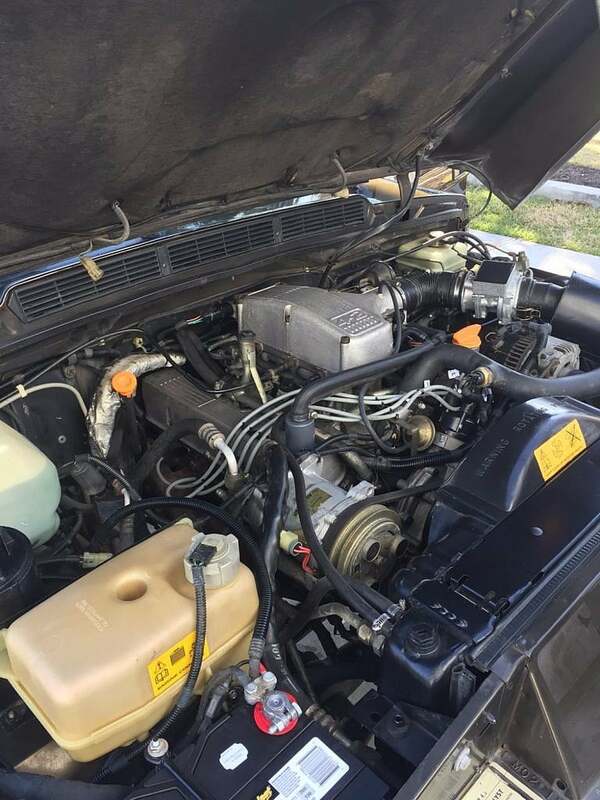 Fresh oil, filter, fuel filter, and air filter have all been done in the last 300 miles. Shocks and springs as well are new. 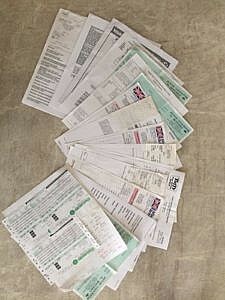 Records date back to 2006. 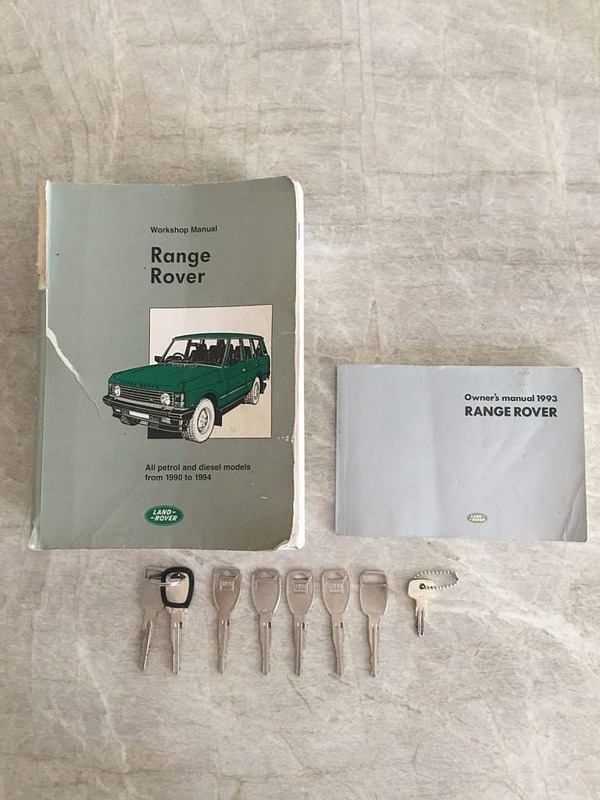 Spare keys and books will convey. 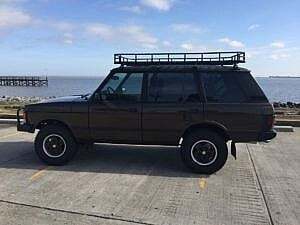 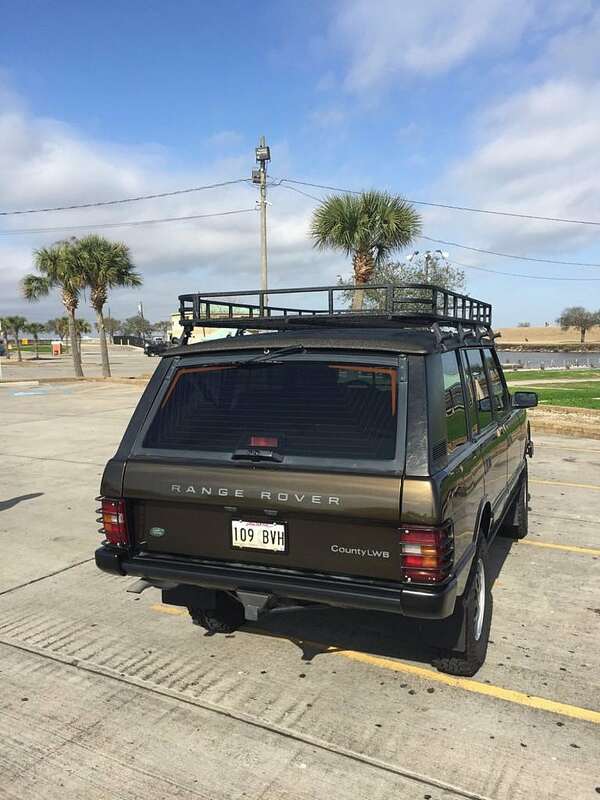 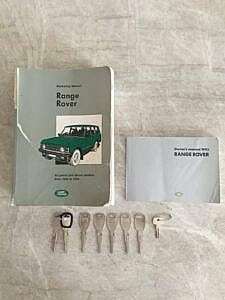 That my friends is how you should buy a Range Rover Classic. 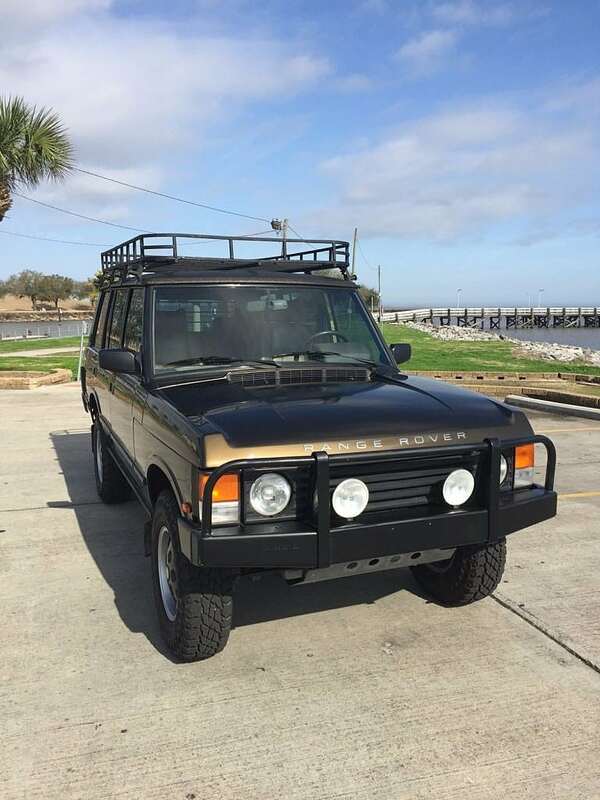 Register now and warm up your bidding fingers. I love this color and can’t wait to see who will be the lucky winner! how does shipping work here? 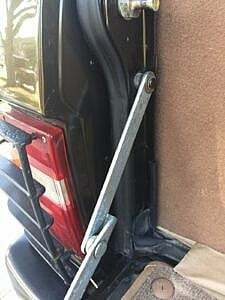 We have several shipping partners we can get you quotes from … enclosed or open hauler. Send us an email with your ZIP code and we can give you a rough idea of cost.